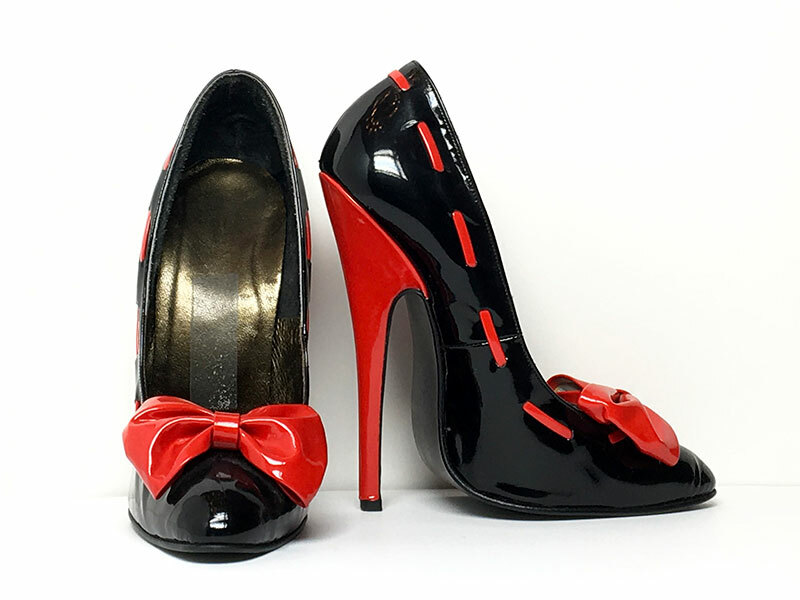 Black patent leather La Piazza pumps with red bows and heels. Size 7. Excellent Condition. Worn in photoshoots only. Sold As Is.